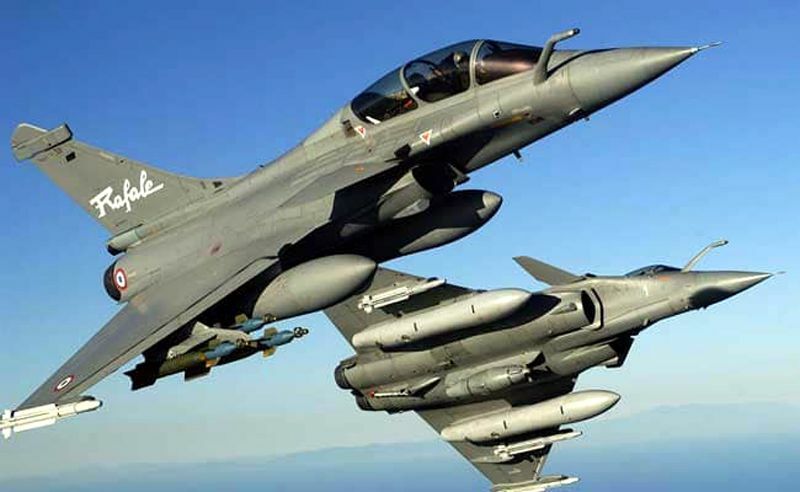 New Delhi, Feb 12: The Congress Tuesday staged a walkout in the Lok Sabha after its demand for a Joint Parliamentary Committee (JPC) on the Rafale deal was rejected. Kharge tried to speak but Speaker Sumitra Mahajan did not allow and continued with the business of the House. At this a visibly upset Kharge asked loudly, "What is this? We want JPC". The Speaker said she was not saying no to anyone. "I will allow you to speak when the time will come. Now sit down. You have shouted a lot. Give your throat some rest," she said. With this, Kharge sat down but said, "If you don't allow us to speak, why should we be here". UPA Chairperson Sonia Gandhi, who was sitting next to Kharge, nodded in support. Kharge soon nudged other Congress MPs to restart the protests and they immediately trooped into the well, carrying placards and shouting slogans seeking JPC on the Rafale deal. Alleging corruption, Kharge said a JPC probe was needed to probe the deal. He also demanded discussion on the issue to which the Speaker said a debate had already taken place in the House. Kharge said the CAG report on defence was tabled before the Rajya Sabha and was "leaked". He said the report was not tabled before Lok Sabha. Mahajan said the reports were tabled before the Lok Sabha, in an apparent reference to P Radhakrishnan tabling three CAG reports, including one on defence services. Intervening in the matter, Home Minister Rajnath Singh said the issue of Rafale has been discussed in the House and even the Supreme Court has given its judgement on it. "The Prime Minister is scared of JPC. Since you are not heeding to the demand of JPC, we are staging a walkout," Kharge said as his party staged a walkout.